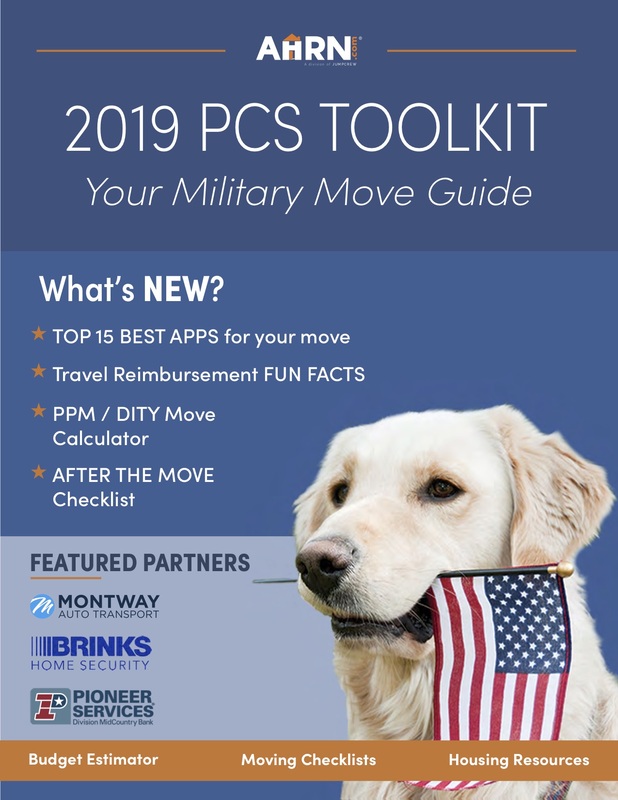 PCS season feels far away, but some early preparation for those who are expecting orders makes for a much smoother move. After 11 years as a military spouse, I’ve found that the hardest part of the PCS process is that time of not knowing while we wait for orders. We know a move is coming. There is speculation about the options, reworking and submitting the “dream list”, hopeful research of possible duty stations and some worry. It is easy to drive yourself crazy while you wait to find out where the needs of the military are going to send you. I’ve learned that the best thing I can do to counter the waiting is to focus on what I can impact now: preparing my household for the upcoming PCS. Even 6 months out, there is a considerable to-do list to keep you busy! To start with, you can lighten your load. 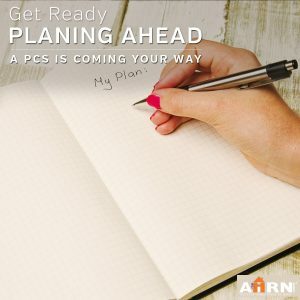 One of AHRN.com’s most popular blog posts was about your PCS Weight Allowance. With hefty fees for going over your allowance, anything you can get rid of ahead of time is a step towards an easier PCS. Plus, unpacking isn’t a bundle of fun as it is but you definitely don’t want to spend extra time unpacking that odd board game your aunt gave you for Christmas 2 years ago or clothes you haven’t work since high school. Donate what you don’t really use or need! Give yourself a clean slate by giving your home a thorough cleaning. Some things might need to wait for warmer weather to Spring clean, but doing what you can right now will offer the opportunity to note of repairs that need to be completed or sent to your landlord. Also worth considering now are the expenses you could expect as part of your PCS. Understanding what entitlements you are due and what they are intended to cover will help you to determine what out of pocket expenses you should be prepared for. If you don’t already have a savings account, starting now will give you time to put away money for emergencies and unexpected costs. 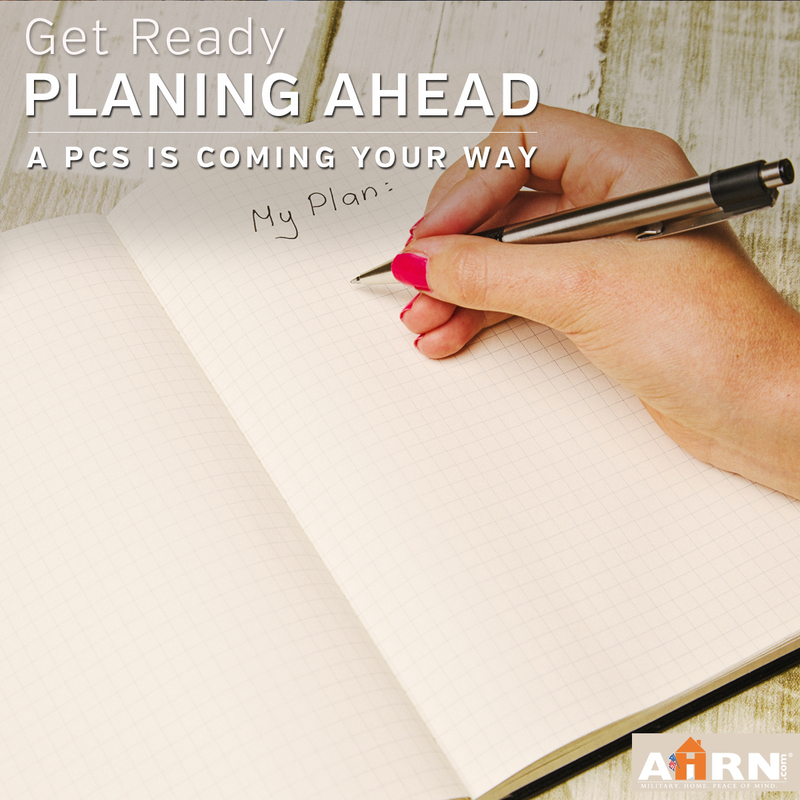 The 2016 PCS Toolkit includes planning resources that you can start with even before you know where you’re headed! Don’t forget to update your AHRN.com dashboard to reflect what you want & need in your new home. That way, when you know your destination you’re ready to research! What do you wish you have known before your last PCS?